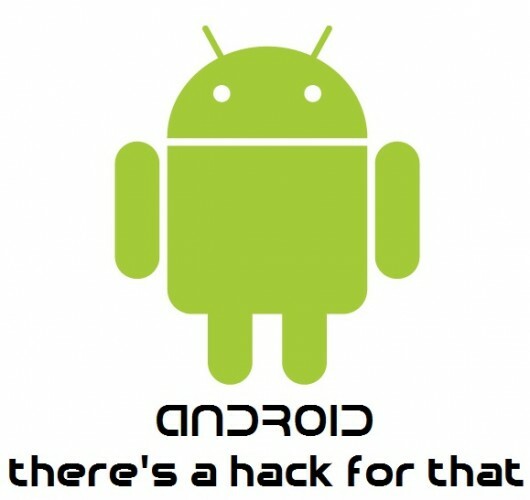 Hacker kills his own Pwn2Own bug for Android phones ! A vulnerability that a researcher planned to use to compromise an Android cellphone at a hacking contest later this week got squashed after Google fixed the underlying bug in the Android Market. Scio Security CTO Jon Oberheide notified Google of the XSS, or cross-site scripting, bug in the application bazaar because he didn't believe the vulnerability would qualify under terms of the Pwn2Own contest that is scheduled to start on Wednesday. The “incredibly low-hanging naive persistent XSS” allowed attackers to to remotely install malicious apps on Android handsets by tricking users into clicking a link on their phones or computer browsers while logged into a Google account. Oberheide later learned that the vulnerability didn't run afoul of contest rules, allowing him to collect $15,000 and a free handset if he was successful. But he recently discovered Google closed the security hole. The $1,337 awarded to Oberheide under Google's bug bounty program, is little consolation, he wrote in a blog post published on Monday. Adding to his disappointment, Oberheide said, is the decision by Google not to make changes to a feature that allows users to install new apps directly to their handsets while browsing the Android Market on their computer browsers. The feature offers no on-device notification warning users of what's about to happen and prompting them for permission. As a result, similar remote execution vulnerabilities will plague the mobile OS again each time certain types of XSS bugs are discovered in the Market. “Instead of trying to play Whac-a-Mole with XSS bugs and trying to prevent them from cropping up again in the Market, they need to address this issue at the root, where if there's any sort of automated installs to the phone, there should at least be some simple on-device confirmation that the user has to click in order to proceed with that installation,” Oberheide told The Register. Oberheide said he has scoured the Market for other XSS bugs over the past week and so far has found none that are suitable. XSS vulnerabilities are so common, though, that it wouldn't be surprising if more are discovered. Pwn2Own which runs Wednesday through Friday at the CanSecWest security conference in Vancouver, is now in its fifth year. In an email, a Google spokesman wrote: "Installation notifications appear on the device as an alert to users when the browser version of Android Market is used to install applications. It's not completely silent. It's also not clear that other XSS bugs will be found in this particular mechanism to cause similar issues." In response, Oberheide said that the users would see the notification only after the malicious app had been installed and only if she happens to be looking at the phone shortly after installation. "However, given that we trigger the install and execute our app when the user clicks our malicious link, it's trivial to root the device and immediately remove any notifications that were present," he added. The Google spokesman declined to elaborate. Oberheide's report comes a week after Google removed more than 50 apps from the Android Market after third-party researchers identified them as malicious. Google eventually zapped the data-stealing trojans from Android phones using a remote kill switch baked into to the mobile platform, but there's little to prevent similar attacks, since Google performs no vetting of apps submitted by third-party developers.